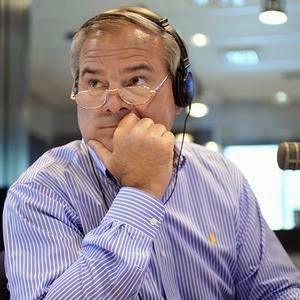 Former Governor John Rowland, now a former radio talk show host, may have been “guilty,” in a metaphorical sense, of using his position to advance the political interest of one particular candidate over another. It has been said that Mr. Rowland had subjected poor Andrew Roraback, at the time a Republican Party candidate for the U.S. House in the 5th District, to a severe interrogation on his radio program, formerly called “Church And State.” Since being appointed to Connecticut’s Superior Court by Governor Dannel Malloy, Mr. Roraback has moved out of the political into the less contentious judicial arena. Apparently, Mr. Roraback had suffered no permanent harm, and losing a Hartford Courant endorsement to his Democratic opponent certainly cost the socially progressive Republican Party endorsed candidate more negative votes than Mr. Rowland’s barbed questions. Similar impostures – though news of them may shock the willfully ignorant – have been deployed in the news business from time immemorial. Abe Lincoln came very near to fighting a duel with one of his outraged political competitors when it was discovered that editorials in a Republican paper had been written on the sly by Mr. Lincoln; actually, one of the newspaper pieces had been written by his intended wife. Because it would have been ungentlemanly for Mr. Lincoln to involve his fiancée in the quarrel, he accepted responsibility for the satires but characteristically refused to issue an apology. Eventually, the matter was settled outside the law courts, without either of the antagonist having used against each other the large military broadswords Mr. Lincoln had selected as his choice of weapon. Mr. Lincoln, who towered over his opponent, hacked off a tree branch with his sword while the two stood facing each other on Blood Island, and the display of superior reach led to an amicable resolution. In Lincoln’s day, newspapers were outrageously partisan, little more than party organs. In our day, newspapers are slyly partisan. If subtle partisanship were a crime, Connecticut prisons would be overflowing with journalists and editorial writers. Charlie Morse, for many years the chief political writer for the Hartford Courant and an unabashed Weicker-liker, produced tons of columns favorable to then Senator Lowell Weicker, one of the papers most pampered political pets. The Courant, during Mr. Weicker’s push for an income tax, was solidly in Mr. Weicker’s gubernatorial corner. Before Mr. Weicker had been sworn in as governor, Mr. Morse accepted an offer from Mr. Weicker to work for him while continuing to write for the paper for a few weeks. After his inauguration, Mr. Morse left the Courant and began working for Mr. Weicker. There is no indication that Mr. Morse was being paid for his fawning columns. Some writers do it for love, others for money. The Courant, a left of center publication, supported Mr. Weicker because its editors regarded the “Maverick” Republican as a sort of Jack the Giant Killer. “Maverick” was the title of Mr. Wicker’s “fact based” autobiography, most adequately reviewed by Journal Inquirer columnist Chris Powell under the title “Mr. Bluster Saves The World.” While Mr. Weicker and the editorial board of the Courant were synergistically attached at their navels, little did the Courant understand that Mr. Weicker was not killing the giant; there were NO conservative Republicans in office in Connecticut at the time. He was killing Jack -- his own Connecticut based Republican Party. Though Mr. Rowland’s defense attorneys have focused of the charges brought against him in a motion to dismiss, the First Amendment conceivably could be brought into play as a sleeper defense during the promised Rowland trial -- “promised” because it is always possible the trial may be ditched in favor of some plea agreement never made public between Mr. Rowland’s high priced Washington attorneys and prosecutors. Neither Mr. Rowland nor Mrs. Wilson-Foley were practicing politicians at the time Mr. Rowland, essentially a journalist, allegedly “favored” Mrs. Wilson-Foley, an aspiring politician, on his radio program. This means that no political favors either way could have been exchanged for allegedly “corrupt” money received by Mr. Rowland. It is still very early in “the judicial process.” During Lincoln’s day, matters were adjudicated in courts of law, and instructive precedents were established. Nowadays, justice itself hangs from “process” nooses. Deals are made in private between Star Chamber prosecutors and defense lawyers, and precedence is a stranger at the hidden proceedings. Grand Juries, many political commentators understand, are Star Chamber proceedings, and Grand Jury findings released to the media are always highly prejudicial. They should be taken by a truly non-partisan critical media with tons of salt. There is a vocal Rowland-o-phobic contingent in the Nutmeg press. They view this "criminal" act in the context their general condemnation of the man. As long as this prejudice is so active against him, it is appropriate to recall that the outfit that is prosecuting him is the same outfit that mal-prosecuted Ted Stevens. We might also remind ourselves that Tom Delay, like Rowland, was creatively accused of criminal violation of campaign finance regulation. This was the first time that prosecutors in Texas had attempted to use a money-laundering statute against a politician charged with trying to circumvent the state ban on corporate contributions that has been in place since 2003. Mr. DeLay never denied he engaged in the practices described in the indictment, but said they were common and legally accepted campaign practices. In its decision, the court flatly rejected the case brought against him.